Innovation is a buzzword topic. 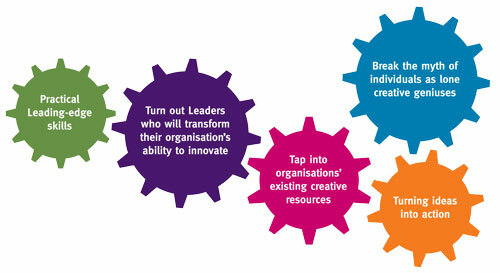 You can even do a Masters Degree in Innovation, Creativity and Leadership at City University in London. It has its own acronym; it is fondly referred to as the MICL. This is great because they have free public lectures. Last week I went to listen to Professor Patrick Jordan talk about Creativity, Innovation and Quality of Life. Quality of life is defined as the wellbeing of individuals and societies. There is an increasing emphasis on the importance of quality of life and wellbeing. The Office for National Statistics is now attempting to measure national wellbeing in the UK. Jordan suggests that there are nine major factors that need to be taken into consideration when measuring quality of life in his 2010 paper, ‘The Good Society Framework’. The nine factors are explained below with examples highlighting how innovation and creative thinking are helping individuals and communities improve their quality of life. 1. Relationships; the quality of our social,family and interpersonal relationships is the single most important factor in measuring quality of life or wellbeing. Research has shown that there is a loneliness epidemic in older men. Men communicate best when bought together round a task. 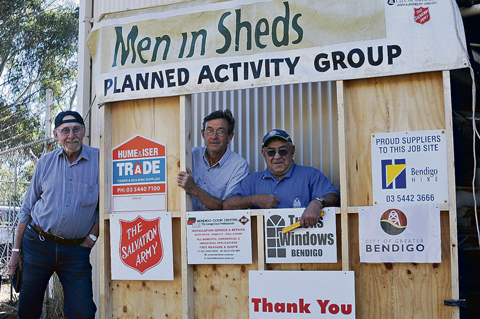 Men in Sheds is an innovative project responding to this by establishing a task based shed network providing a community of support and social interaction for men. 2. Economy; this refers to people’s degree of economic spending power and the extent that jobs develop and reward individuals. In tough times, with public trust in large banking corporations at rock bottom, there has been an opportunity for the development of peer-to-peer economics. Zopa provides opportunities for people with savings to lend. The lenders earn interest and the borrowers receive better rates than banks can offer. Regulated by the FSA, Zopa has half a million members who have to date lent more than £190 million. 3. Environment and infrastructure; this is about how pleasant, effective and efficient our environments are. Transport for London invested in an initiative to ensure public transport in London was accessible to people with disabilities. Yet, despite the improved access, people with disabilities were not using London trains and buses. In particular wheelchair users didn’t use buses. Transport for London worked with Jordan to establish why. He discovered primary reason wasn’t the physical barrier; it was because of the uncomfortable interaction with the driver and the public. Bus drivers are measured on punctuality, the additional time to help a wheelchair user on and off the bus meant their bus would arrive back at the depot late. Because of this they often didn’t stop for wheelchairs – or were stressed and rushed when they did. Making using the bus a bad experience best avoided. Therefore changing the time measure for drivers, rather than the physical environment may improve the bus experience for wheelchair users. 4. Health; in particular access to good healthcare and food. Jordan spoke of a hospital project in Korea. They turned their radiography ward into an entertainment centre. Patients could upload photos and listen to their own music in an attempt to take some of the trauma of sitting in a stark and unwelcoming ward by making the experience as comfortable as possible. 5. Peace and Security; this refers to levels of crime and if people feel safe in their homes and public spaces and whether or not society is affected by war or terrorism. Jordan spoke of initiatives to develop more effective ways to identify terrorist suspects. Currently terrorist suspects are single people in a public place, looking nervous, with a backpack, meeting another single nervous person. Anyone who has ever been on an internet date is a hot terrorism suspect based on current techniques. culture and opportunities to participate in leisure activities. GoodGym is an organisation that connects people who want to get fit, with physical tasks that need to be done and benefit the community. So rather than mindlessly pound a treadmill you can run to an elderly neighbours garden that needs digging. Great concept. 7. Spirituality; the choice to practice which religion you choose, access to spiritual and philosophical teachings. An example is the Meditator app for smart phone has been developed to enable more people to relax and experience the benefits of meditation. 8. Education; this places the importance on enriching educational opportunities the enable people to function effectively in society. An example of a project enabling better educational opportunities is the US Knowledge is Power Programme (KIPP). Based on the premise that levels of achievement are often inhibited by low expectations, KIPP uses the slogan ‘work hard be nice’ to build the confidence and expectations of students from undeserved communities that they will go to, and do well at college. 9. Governance; so whether there is democracy, fairness and freedom of expression. Social media has given the masses a voice and the ability to spread campaigning messages. There are many examples of groups coming together to have a voice or take action; from the organization of the riots in London last summer to the uprising in Egypt last January. Jordan’s final point was that using innovation and creativity to create a better quality of life was for all. Not for the few that can afford it – but for everybody. How can we better engage our creative and innovative skills to improve our individual and community wellbeing? What do you think? PS. You can find out more about MICL at a free open day conference in London on 11 June. This entry was posted in creativity, fundraising, ideas, Innovation, insight, Inspiration, leadership, Quality of Life, social media and tagged City University, community, creativity, Economy, education, Egypt, environment, GoodGym, health, ideas, infrastructure, Innovation, KIPP, London riots, Masters Degree, mediation app, Men in Sheds, MICL, ONS, Patrick Jordan, peace, Quality of Life, relationships, security, spirituality, tfl, The Good Society Framework, thinking, transport for london, wellbeing, work hard be nice, Zopa. Bookmark the permalink.